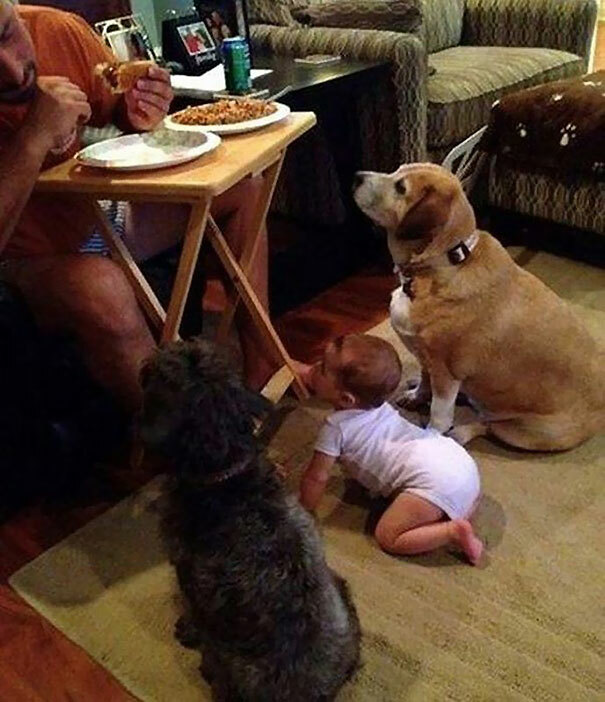 Funniest Ways How A Dog Can Asks For Food, You Can't Deny Them! Funniest Ways How A Dog Can Asks For Food, You Can’t Deny Them! 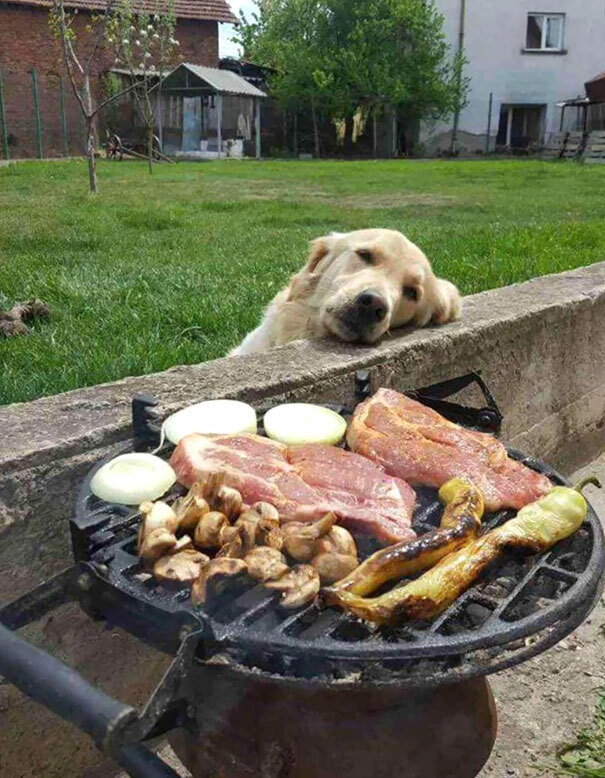 Don’t you feel like you want to give this doggie everything he wants? 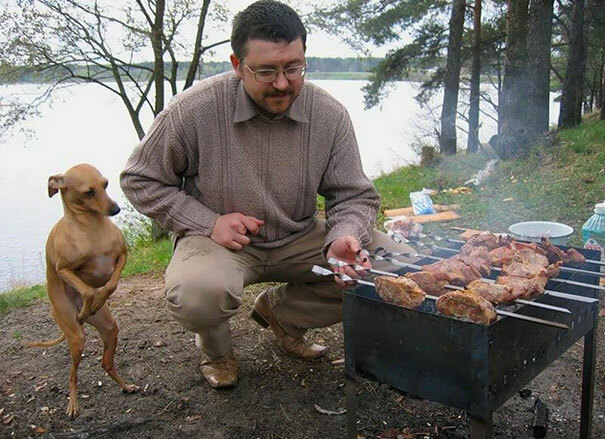 The evolution of the dog due to the desperate need for barbecued meats! At least he is being honest! Priorities, this dog has them under control, why don’t the rest of us? To avoid this disaster – do not eat KFC with your windows open! “The Famished Four” appears every time I try to eat in peace! Smart dog! Bad dog, but a smart dog. He started barking at the door, when I got up to look outside he ran back a stole a slice of my pizza. No one at the door. Master of misdirection. He earned the pizza! This doggo knows how to play with it’s human. I was wrestling with my dog and forgot that he never misses an opportunity to eat. I bet you thought he wanted to cuddle. Yup, I’ve fallen for the old, my dog loves me! Wait, he loves my food. I feel so used. . . gambit! Do I jump on this or wait till it’s done!? The dog be like, “I am so hungry I can no longer hold up my head, please give me food humans!” Just casually laying my head…right…here, scheming for the big win! Get in the line buddy we are all hungry! Divided by species, united by and for ice cream! They look like two scoops of ice cream on top of each other. It’s funny how the food cravings are enhanced in groups. Missing MTV VJ Finally Found! A Publicity Move! ?